Truly a magnificent piece, beautifully conceived, finished. Jaw drapping beautiful. 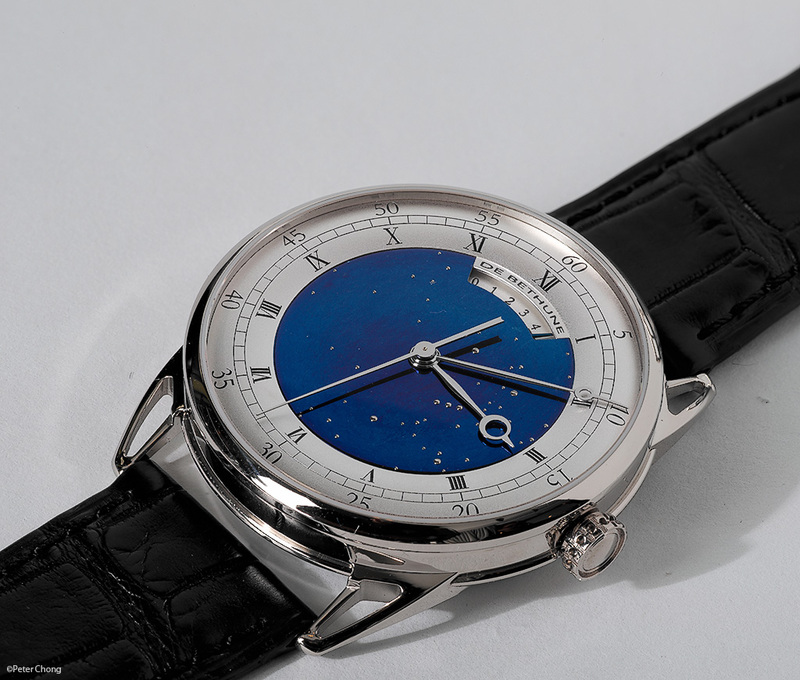 The dial, hand flamed titanium to achieve the deep blue...nothign short of amazing. 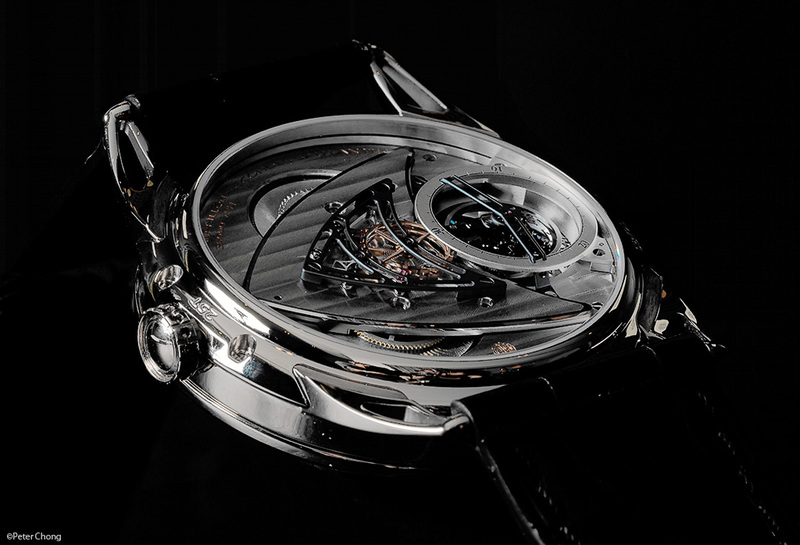 And the second morte complication is nicely emphasized with the large sweep seconds making its precise jumps each second. And a side view, to show the depth of the movement. 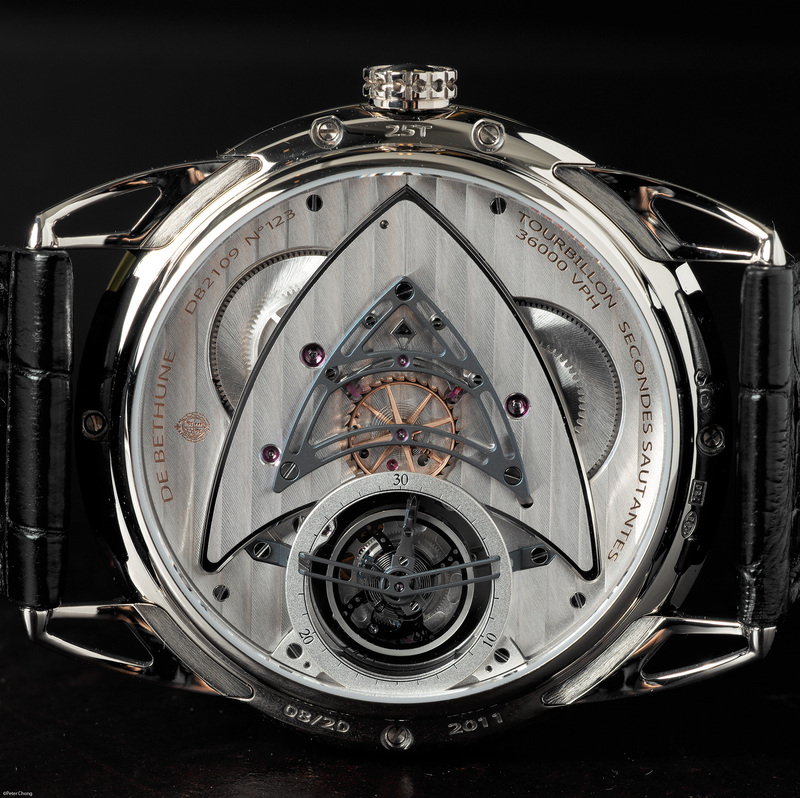 The movement and the rest of the watch is magnificently finished. This series of photographs were prepared for a Leica S2 camera review. And was photographed with the excellent Summarit 120mm macro lens. The final image is cropped because the lens only focusses down to 1/2 magnification, and hence not a true macro lens.